Nucl. Phys. At. Energy 2015, volume 16, issue 4, pages 389-398. Received: 07.08.2015; Accepted: 10.12.2015; Published online: 12.02.2016. Abstract: Using developed mathematical model together with the experimental results concerning protracted continuous irradiation influence in the doses 0.01, 0.03, 0.06, 0.1, 0.25, 0.5 and 0.8 Gy/day (23 h per day), as well as 1, 3, 6 and 10 Gy/day (24 h) on the alterations in colony-forming units (CFU) number of mice bone marrow we defined the mechanism of new steady-state regime of CFU number forming during irradiation; CFU stabilization level is assessed depending on everyday irradiation dose rate. As a result of experiment we have determined parameters characterizing the reaction of hematopoietic system to CFU loss after everyday irradiation with different dose rate intensity. Quantitative indices are established, showing the decrease of CFU income intensity from the sources to bone marrow, when everyday irradiation dose rate increases. 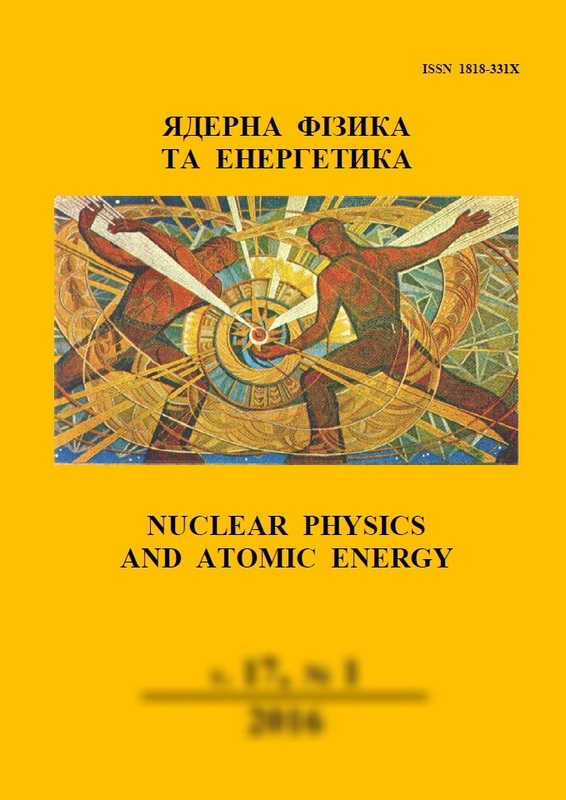 Keywords: ionizing radiation, bone marrow, functional properties, mathematical modeling. 2. D.Z. Shibkova, N.V. Efimova, A.V. Akleev. Effects of chronic radiation exposure on kinetics and proliferative potential of hemopoietic stem cells. Radiatsionnaya Biologiya. Radioekologiya 41(3) (2001) 295. 6. I. Kalina, M. Praslicka, L. Marko, V. Krasnovska. Effect of continuous irradiation upon bone marrow haemopoetic stem cells in mice. Fol. Biol. (Praha) 21(3) (1975) 165. 16. R. Schofield. The relationship between the spleen colony-forming cell and the haemopoietic stem cell. Blood Cells 4(1-2) (1978) 7.